Trevion and Joani were high school sweethearts. Over the years, the couple from Georgia got married and had four beautiful girls, ages 20, 17, 10, and 8. The doctors told Trevion and Joani they were done having children. Joani was diagnosed with a medical condition that would prevent any future pregnancies — but that was OK. They knew their family was complete. Joani was pregnant with triplets! And identical triplets at that! To say everyone was shocked would be an understatement. According to Huggies, “There is no one, consistent statistic quoted when it comes to the odds of having identical triplets. 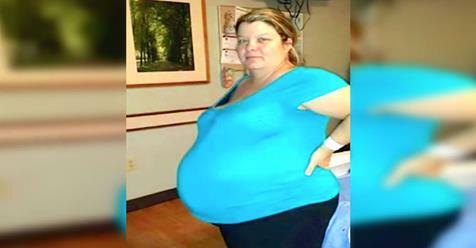 But the generally agreed upon figures are in the vicinity of between one in 60 thousand to one in 200 million.” In addition, the more babies a pregnant woman carries, the greater the risk of pregnancy complications. Because Joani is so short and was carrying three babies, the chance of them all surviving was extremely low. And if they were to survive, then it meant Joani’s life would be at risk. The family was excited, but the potential dangers made them extremely anxious and worried. That’s when a woman from their church told them about Haven Ob/Gyn, a small but dedicated practice in Atlanta. Devon, Bryce, and Miles were born three months premature during a delivery in which the doctor prayed with Joani. The identical triplet boys were so fragile and tiny that Trevion could slip his wedding band over their entire arms.